​Cleaning your boot does not only mean washing the oil and dirt off the leather, but it also means that you should clean the oil and dirt out of the leather. 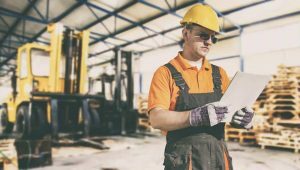 This is something that can be quite tricky to some and nothing can look as bad as having dirty work boots with your perfect working clothes or suit. 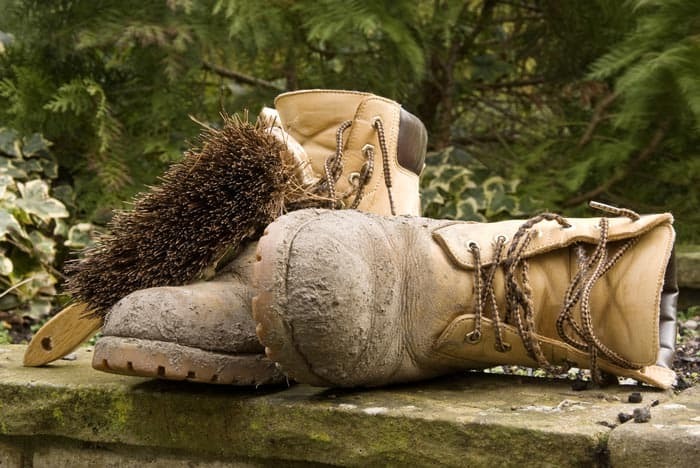 We have decided to see if we can find out exactly how you could clean your work boots without causing damage and which steps you should take to clean them effectively. We have also tried and tested many of these methods to ensure that we clean the boots effective and in some cases; you will also be strengthening the leather and improving the durability. 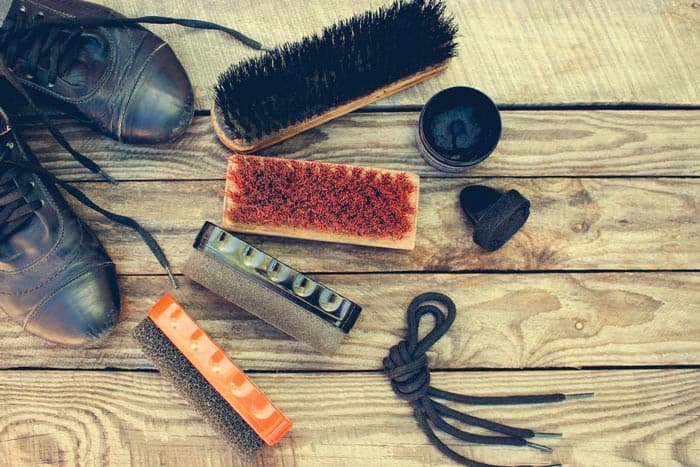 One of the first things you should understand when it comes to cleaning your work boots is that there are many materials and they can all be cleaned with different methods. While something like rubber can be cleaned with a light drizzle of water, you should definitely not try cleaning leather with too much water and this could potentially damage the boot. Rubber boots are simple to clean and they do not have any hassles when it comes to wiping down those muddy stains and even soft drink spills. Most rubber boots are already weather resistant and they will be perfect with wet and cold cleaning methods. Wet a cloth: If you have stains, spills or marks on your rubber boots, you can simply just take a wet cloth and try to wipe them down. If the marks are persistent, a small dab of detergent can be used. However, we do not really recommend this and with enough scrubbing, the mark should eventually come off. Allow to dry naturally: It is important to let the rubber dry naturally and to try and apply additional heat. Additional heat can potentially weaken the rubber when it is combined with colder water. Rubber should dry within a couple of hours and you can wear those weather resistant boots once again. Repeat: Whenever you spill something on the boots, it can also help to clean them immediately as you arrive home. This will also keep the stains from leaving marks inside the materials and you will have a much faster time cleaning them. The leather is tough to clean and to keep clean and you might need to invest in a leather conditioner or cleaner to soften up the boots and to remove these tough stains found deep inside the leather. The leather is also quite delicate and while it is water resistant, applying too much water and heat can also reduce the strength of the leather. Apply the leather cleaner to a cloth: leather cleaner is a combination of natural herbs and cleaning oils that will remove the leather without damaging or weakening the structure. 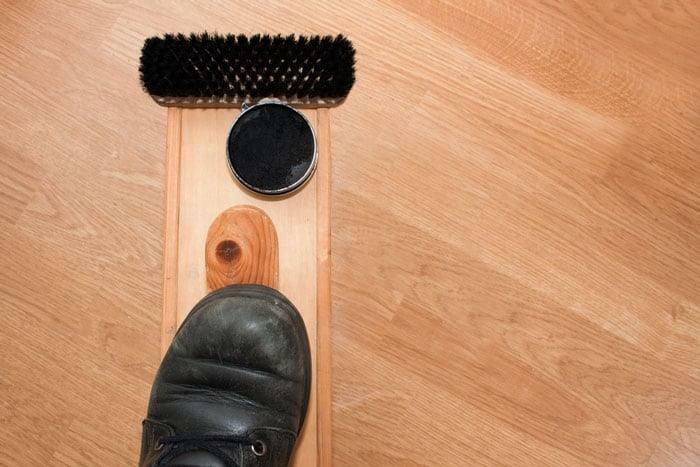 The leather cleaner can be used to remove stains from your boots and to get them looking brand new for work. Conditioner: Conditioner might seem an additional expense, but it is something that will help preserve and strengthen the leather. This combination of oils will be ideal to improve the lifetime of your boots and to keep it feeling softer. The conditioner can be overused without any additional bad effects. Polish: While the leather conditioner and cleaner might be a little thick, it could also remove the shine that is well known as part of leather products. As the well-designed brush is ideal to remove the excess product and clean the boots to have them shining and looking brand new once again. Weatherproof: While this is something that you can do if you are faced with working in the elements, it is n0t something you always need to do. There are multiple different weatherproofing products on the market today and these will help you keep the boots protected against the environment. Use rubber or plastic brush: A rubber or plastic brush is quite strong and they have the ability to remove these stains and dirt from deep within the materials. However, since they remove the dirt, they might also cause a little damage and this is where the specialized sealing spray for suede and nubuck boots will be perfect to seal off the gaps. Conditioner: You will also be able to use specialized conditioner for these boots and while it also removes the dirt and softens the materials, it will also improve the quality of the materials, which means that you will not have to deal with tough boots as they get older. Weatherproof: Weatherproofing your boots is another thing you might have to look into if you are constantly dealing with the environment. By adding a little of these products, you will quickly refill and rejuvenate the boot to ensure that it offers you maximum protecting against the elements. Now that you have the ability to keep your boots clean, you should have no troubles of working in a clean and stylish way every day. These tips can be applied weekly on weekends to get ready for the week, but you may clean the boots as often as you like. We would; however, want to mention that synthetic, nubuck, suede, and leather should be left to dry naturally. We would like to thank you for reading this article and we hope that you have found these tips helpful. We would like to encourage you to share your thoughts on these tips in the comment section and let us know if you think we might have missed any of your favorites.